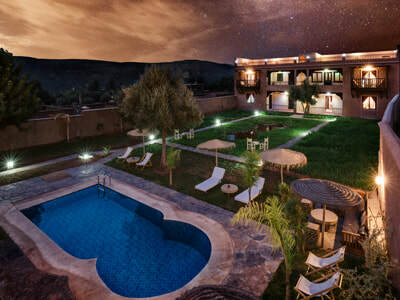 Travel from Marrakech to the Atlas mountains on direction of Imlil via Tahannaoute and Moulay Brahim Gorges, meet your berber team ( guide, cook and muleteers) then start your trek over tizi n tinzert pass into Ouirgane Valley where you will enjoy your stay in the confortable guesthouse, day2 you will head the Azzaden valley through lot of berber villages into the Village of Ait Aissa where you will enjoy a Hamam and afternoon relax on the Azzaden Trekking Lodge roof terrace. 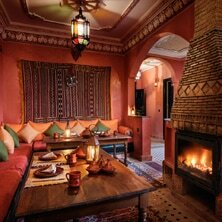 Day3 will take you to the spectacular valley of Imlil where you will enjoy your stay in the Dar Adrar Guesthouse. 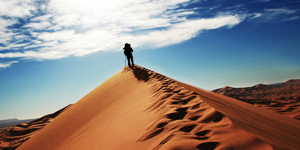 Last day will take you in a circular route via the Imnane valley over tizi Tamater and the Tizi n agersioual, Lucnh by the river then you will be transported to Marrakech. 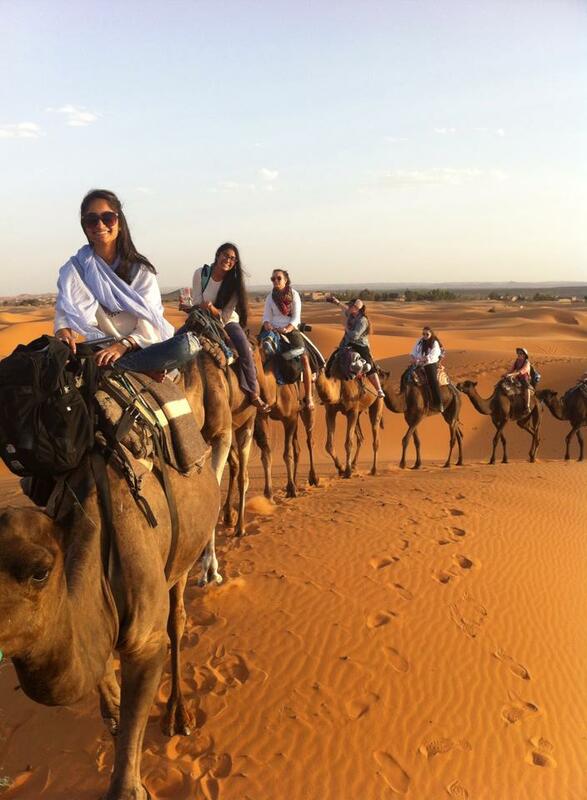 Day 1 : MARRAKECH - Imi-oughlad - Tinzert - Marigha (Ouirgane). 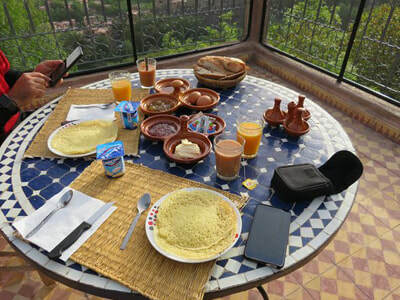 After breakfast you’ll wind your way through the olives groves and with a steady ascent up towards the Azzaden Valley. 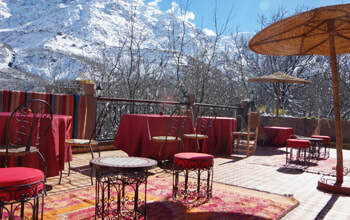 Wonderful expansive views open up as you cross over into the Valley, and your guide and cook will pick a picturesque spot to put on a welcome lunch. 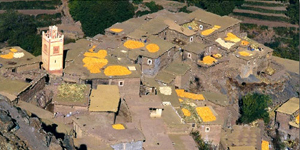 After lunch you'll follow the course of the river up the alley walking through several small traditional Berber Villages before reaching Ait Aissa 1860m. 5 to 6 hours walking approx. ; 760m ascent. Day3 : Ait Aissa – Imlil . Today is around 5-7 hours of walking. 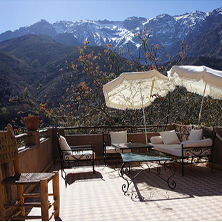 Today will take you up the Azzaden valley throug the village of Tizi oussem , Summer Village of Tamsoult as a side trip via the largest waterfalls in the Toubkal National Park. 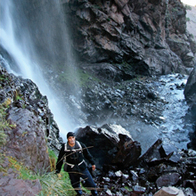 After visiting the falls, you will join the path that takes you to the Ait Mizan Valley via Tizi Mzzik, which is at 2500m and gives you the opportunity to view the villages of Imlil and the Atlas mountain range. 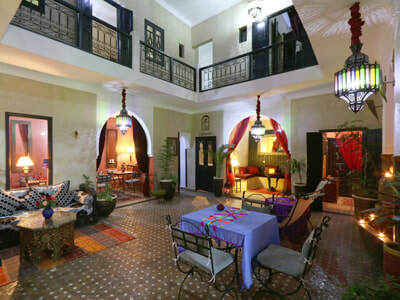 The final leg of the journey will be descending down to Imlil where you will be welcome by a mint tea and overnight accommodation at the Dar Adrar Guesthouse. 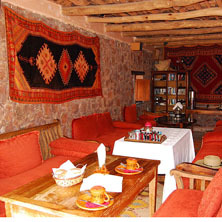 The Accommodation during this trek will be in Ouirgane Ecolodge, Dar Adrar guesthouse and Azzaden trekking Lodge.